What Does Treason Really Look Like? Is this man a traitor ? Wouldn’t a case of Treason be exposing and identifying our U.S. Navy SEALs , by Team ID , after the successful killing of Osama bin Laden ? Wouldn’t treason be National Intelligence and security leaks by high ranking U.S. government officials , at the direction of the highest authorities at a time when we are engaged in a to-the-death fight with a mortal and intractable enemy ? Wouldn’t treason be levying the strictest Rules of Engagement upon our countless active duty warfighter , soldiers , sailors , airmen and Marines in the field of combat and in the skies above? Preventing them from adequately defending themselves and allowing the enemy an easy ,well-defined pathway to attack our formations , and giving our real enemies ‘the edge’ upon the field of battle ? Wouldn’t treason be allowing our highest level special operations operators to be ‘set up’ by allowing lose information falling to enemy agents in theater and then sending them into a death trap ambush of their aging , unsupported helicopter, with no prepping or securing the hot LZ , just weeks after they took out Bin Laden , there to perish , one & all ? [Extortion 17] , Wouldn’t treason be funneling vast sums of money and equipment to totally corrupt and evil regime leaders in Afghanistan , Egypt , Pakistan and Yemen , even when we know they are in league with our mortal sworn enemies and most likely are acting as blatant double agents for the same ? Wouldn’t treason be to willfully know of security weaknesses and vulnerabilities to an active U.S, Embassy or U.S. Consular outpost and the mortal threat to all personnel stationed there , for months in advance , and do nothing to remedy or strengthen the situation . And then when a serious attack did occur , on the most obvious day of the entire year for extremist Islamist attack to occur , to DO NOTHING and let all our people get slaughtered , or gravely wounded , while not sending any assistance or available military quick response backup , at all ? Wouldn’t treason be to give the order to “Stand Down ” , as our people are getting killed on the ground ? Wouldn’t treason be to then openly and boldly LIE to the American people and including all the surviving family members of these deep and probably intentional errors and cases of gross malfeasance , for months upon months ? Including also openly lying to Congressional committee inquiry , over and over ? Wouldn’t treason be to have a goal and a secret policy to 100% abrogate and over-rule any & all Constitutional protections for law biding U.S. citizens , in America , by creating a vast DOMESTIC intelligence collection network and data base on ALL Americans , regardless of who they are and their complete non-involvement with anything of an international terrorism nature ? Then hiding the programs until exposed by ‘whistle-blowers ‘ and claiming legitimacy as being necessary to combat the same international Islamist terrorism that it tries it’s to ignore most of the time ? Wouldn’t treason be to ignore the open and obvious links to Islamic terrorism that led to Boston and the attacks at Fort Hood and to fail to respond , react or even collate all the information that should have been available to them leading up to these horrendous events ? All in the effort to avoid profiling our actual mortal enemies , whom we have been foolish enough to ever admit into the United States or allow to become a part of our U.S. military …. Wouldn’t treason be the surreptitious release of countless Islamist terror suspects and detainees , who go right back to the effort of killing American soldiers , just so we can clear our jail facilities and score points with our Islamist ‘allies’ in certain countries ? Exactly WHO is the traitor to the American way and the best interests of the United States and the United States military ,during this time of hot war ???? Is this not a case of the pot calling the kettle black ? Here is a young man , whom for zero $ gain or self-interest , has exposed a train wreck of a policy being misused and abused by an administration that now has a long and proven track record of lying and using U.S. government agencies and capabilities to illegally go after , threaten , intimidate and prosecute any & all that pose any real or imagined threat to them and their goals and agenda . The Alinsky agenda of ” fundamentally transforming the United States” In to what? 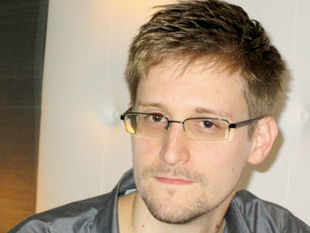 Ed Snowden , one day you will be seen as a great national hero . Stay strong pal , millions are with you . As to all the pinhead politicos and men and women of highly questionable loyalty to our dear U.S. Constitution ; Ignore them . They are but ” static and ground noise ” ….. Treasonous vipers indeed . By the way please pass this on to Speaker of the House, John Boehner who is a traitor to the Republican Party and what it once stood for. Jes saying. Why don’t more Muslims speak out about what radical Islamists are doing around the world to foment trouble, imposing Islam by force? The simple fact is that all wars are the result of religion, politics, or both. The current war is no exception. According to the website, Prophet of Doom in an open letter to America, over 90% of nations in which the majority of the people consider themselves Christians are republics. Relative freedom, choice, enlightenment, and prosperity reign. Over 90% of nations in which the majority of the people are Muslims are dictatorships in which the people have relatively no freedoms, choice, access to truth, or prosperity. The shocking reality according to World Net Daily is a growing number of Muslin American soldiers as well as civilian contractors have put their religion before duty. That’s what Muslim soldier, Army Maj. Nidal Malik Hasan said about America before he shot 43 fellow soldiers, killing 13 at Fort Hood this week. And just like I said before in A Crack in the Dam regarding cultural diversity and political correctness, more than a couple people now reveal disturbing news about Hasan that they failed to report for fear of being labeled insensitive or discriminatory. We gotta wake up America. They mean business and aren’t afraid to kill or die for their beliefs.